Since 1987, Networking The World (NTW) has been a premier connectivity solutions provider serving the IT/AV industry for the past two decades. NTW, its engineers and OEM/ODM group has maintained an unparalleled reputation and an industry leadership position for the design and manufacturing of new and emerging technologies. A few examples include the design and introduction of IDC style keystone audiovisual connectivity solutions, 110-Style HDMI modules/wall plates and the widely accepted locking RJ45 and LC fiber connector/cabling solutions. NTW is supported by cutting edge manufacturing facilities, strong industry relationships, unrivaled service and support staff. NTW sets new standards through its superior design and manufacturing capabilities in building a smarter, better and more powerful communications and business infrastructural network of tomorrow. Late 80s - Networking The World (NTW) started its humble beginnings in 1987 in the basement of a residence as a custom cable/wire assembly house. Early 90s - NTW expands to provide top of the line Original Equipment and Design Manufacturing (Private Label Services) to the industry’s most prestigious brand names. 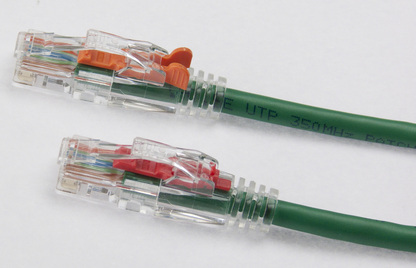 By Mid-2000s - NTW has cultivated an unrivaled reputation for its in-house design, engineering and manufacturing capabilities of new and emerging technologies, private labeling for numerous brand names in the structured cabling, audio visual, security and complimentary markets (servers, cameras and consumer electronics). Headquartered in Dayton, New Jersey, many of NTW’s products are TAA and BAA compliant (or can be manufactured in the US) and all products are manufactured to a minimum Quality Control Standard of ISO 9001:2008. As NTW continues to move forward, our unwavering commitment to integrators and users alike remains unchanged: To provide the most advanced and unique solutions that deliver versatility, power and performance to every IT and AV network.